We gratefully acknowledge the vital support of our corporate sponsors. Their contribution is underpinned by genuine interest in the purposes of the TPA and we regard them as much as friends of public education as business partners. Principals and School Business Managers are strongly encouraged to contact our sponsors whose products and services we recommend to you. You’re busy enough already, and you know your school better than anyone. That’s why at MSP photography, we listen to what you tell us, and take the hassle out of school photography. We’re locally owned, so when you choose MSP Photography you’re dealing directly with the people in charge. We’re accessible via phone, email, or we’re happy to come to see you in person. Our service commitment goes much further than photo day, and we deliver satisfaction for our school communities, year in, year out. We take the hassle out of your School photos You have enough to do without having to manage a school photographer. It’s time to deal with a local business with the backing of a national resource centre, so we can deliver the highest quality school photos in packages to suit all family budgets. Parentshop provides specialised development training that delivers effective behavioural solutions for all ages. We guide and support professionals in education, early learning, psychology, social work and family support groups, so they can effect behaviour change within their own organisations, and for their clients. Specialised training courses and resources provided by Parentshop equip participants with the skills and tools they need to implement strategies to deal with difficult and challenging behaviour in children, adolescents and adults. The latest research in behavioural sciences underpin our training solutions, yet they are practical and easy-to-implement – whether at home or in a workplace environment. Parentshop founder and psychologist Michael Hawton is one of Australia’s foremost behavioural experts, coach and educator. Michael and his highly skilled team have helped more than 12,500 professionals and thousands of families around Australia. Education and training are the keys to unlocking human potential so find your solution here today! has a reputation for being Australia’s preferred provider of PDHPE programs for primary schools. Founded in Brisbane in 1999, the company is now Australia wide with teams teaching gymnastics, dance, athletics, skipping and mindfulness programs to students. Dancefever Multisport staff are committed to providing students with fun and educational PDHPE experiences to inspire them to continue a life long journey of being physical active. Our curriculum compliant programs support over 1,000 schools and 100,000+ students each year to stay healthy, happy and active. We’re a bank created by teachers for teachers. At Teachers Mutual Bank we’re dedicated to helping education sector employees and their families make the most of their money. Our products and services are designed to meet their circumstances and life stage, so they can be better off financially. As a mutual, we reinvest our profits into the community we work in. We’re the only bank exclusively for teachers, their families and the education sector. We have over $7 billion in assets and help over 183,000 members. As a purpose-driven bank, we ensure that our profits do good in the world by providing scholarships, sponsorships and much more. We’re committed to being a responsible lender and acknowledge our obligation to be transparent, act with integrity and support members in financial difficulty. *If you work in the Australian education sector or you are a family member or partner of a TMB member – you may join TMB. Schoolzine is proudly at the forefront of this exciting and innovative platform, connecting communities Australia wide… the online school newsletter! Schoolzine’s multi-functional, interactive newsletter can be accessed wherever you have internet… at home on your PC, via your mobile or perhaps on an iPad - at your convenience. This is truly revolutionising the flow of information and communication between home, school and the broader community, resulting in the best possible outcomes for the youngest members of the community – our children! About TigerTurf Australia: synthetic turf manufacturer TigerTurf, a synthetic turf manufacturer for over 34 years, is now also one of the world’s largest synthetic turf manufacturers. With operations in Australia, Europe, India, New Zealand, the United Kingdom and the United States, TigerTurf’s global network of manufacturing facilities, agents and distributors provides sports and recreational artificial grass surfaces to customers in over 85 countries. Because of the quality, performance and realistic nature of artificial grass, along with all its intrinsic benefits, synthetic turf is recommended for training and competition at the highest levels. Many of TigerTurf’s artificial grass turfs have been approved and certified by world sporting bodies, including FIFA, IRB, FIH, ITF and World Bowls. Soft, colourful junior school products are used for games and sports such as tennis, football, hockey and PE. Medium-pile multi-sport synthetic surfaces in schools and recreational facilities provide all-weather surfaces for tennis, netball, football, hockey, cricket and athletics. Long-pile artificial grass surfaces, replicating natural grass fields, are perfect for football, rugby, futsal, league, AFL, cricket and other field sports. TigerTurf can produce the sports facility you need Your synthetic turf project is unique, with distinct requirements and challenges. As a successful synthetic turf manufacturer, TigerTurf has the experience and expertise to guide you in choosing the best turf for your needs. We manage the installation process, after-sales support, and maintenance services, often extending your product’s life by up to 25%. TigerTurf manufactures technical synthetic turfs for high performance sports TigerTurf is a subsidiary of Royal TenCate, a multi- national company and world market leader in the production of quality synthetic grass fibres and artificial turf components. TenCate develops and manufactures innovative synthetic grass fibre, primary backing and infill material solutions that enhance the overall performance of TigerTurf’s synthetic turf systems. TigerTurf uses TenCate’s artificial grass fibres in all our sport surfaces to establish consistency of performance in every product. For over 20 years, Sturdybilt Agencies has been dedicated to helping schools and colleges realise the full potential of their recreational spaces by providing exciting play environments to inspire both students and staff alike. Sturdybilt’s play spaces invite children to use their own initiative, explore possibilities and make friendships. We are quality-driven and always exceed expectation with our keen eye for design, our superb manufacturing skills and our knowledge of child play and development. Playing outdoors is an incredibly vital part of childhood; perhaps more so now than ever before, with increasing access to technology through mobile devices. With an expanding portfolio of exceptional builds, Sturdybilt Agencies can help you in your quest to ensure your students reap the benefits of enhanced outdoor play. With Winc, you’ll get the right balance of customised pricing, local service and the performance of a strong national network. By purchasing the supplies you need from one source, you’ll save money and time so you can focus on the more important issues. At Winc, we believe that providing Managed Print Services is about more than just printing. It’s about providing smart, cost-effective and sustainable solutions with the proven local support to back it all up. With offices state-wide, Winc has been providing MPS solutions to Tasmanian schools for over 20 years that are tailored to meet your needs both now and in to the future. A well-rounded education is about more than just homework and exams, and a comprehensive supply solution is about more than just paper and pencils. At Winc, you’ll find thousands of products that make it easy to stock your entire school. From a Back to School solution to your everyday needs, we make education easy. Teachers Health also provides more than simply health insurance to members – we are committed to supporting our members’ health and wellbeing through additional services. Teachers Health owns and operates Health Centres offering optical, dental, physio, chiro and remedial massage services (not available at all centres) in Sydney (Surry Hills and Parramatta), Newcastle (Hamilton) and Melbourne (Richmond) and gives members access to travel and general insurance. We understand that navigating healthcare services and providers can be daunting so we also offer eligible members quality, evidence-based health management programs and services, including access to health professionals such as registered nurses, a diabetes educator, dietitian and exercise physiologist. These programs and services are brought to members at no extra cost. As a not-for-profit health fund, we also give back to the education community through sponsorships, scholarships and health and wellbeing programs. If you have cancelled your health insurance policy with another health fund, you will need to join Teachers Health within 60 days to make sure you receive continuity of cover. HARD SURFACE CLEANERS specialise in Thermo High Pressure Cleaning and are now servicing schools across the state of Tasmania. Hard Surface Cleaners are proud to announce our sponsorship of the Tasmanian Principals Association offering the following services. Roof Cleaning - Concrete Cleaning - Graffiti Removal - Tile Deep Cleaning - Shade Sails - Toilet & Shower Sanitisation - Rubber Rock Cleaning ( soft fall ). Below are a few areas that you may need assistance with. LICHEN - Lichen is a massive problem in Tasmania thanks to a perfect combination of Moisture and Pure air. Lichen if left causes irreparable damage to your roof that can require maintenance and possibly even roof replacement issues. SHADE SAILS - Clean your shade sails regularly and avoid the costly issue of replacement. CHEWING GUM REMOVAL - Using our Thermo method of removal we can remove chewing gum effectively and without damage to the concrete surface. RUBBER ROCK - SOFT FALL - Using our Thermo and extraction process helps restore rubber rock to its original brightness and bounce effect. We look forward to helping schools in Tasmania provide a safe and clean environment for the children of Tasmania in 2019 and beyond. Please feel free to call us on 1300785479 or email us on info@hscleaners.com.au to discuss your schools requirements. • A minimal carbon footprint. aquaBUBBLER is locally made, which reduces transport emissions and is great for local industry. • Reduced need for bottled water. 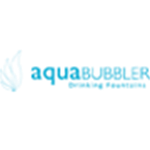 The aquaBUBBLER’s drink bottle refill facility means less waste from disposable plastic water bottles. Style -The aquaBUBBLER’s range of modern colours and designs provides an appealing alternative to the dull, stained metal surface of outdated drinking fountains. Ergonomics- aquaBUBBLER’s ergonomic design makes it convenient to use. Hygiene - We work tirelessly to make the aquaBUBBLER as hygienic as possible and ensure it appeals to even the most germ-phobic water seekers. The drinking bowl is made from stainless steel and the dish is specifically designed to prevent birds bathing in it— a common problem with traditional models. Durability - aquaBUBBLERs are extremely robust and are vandal resistant and graffiti proof. They last a long, long time, and still look great! Flexibility - aquaBUBBLERs are fully customisable. Lifetime care - We take care of each and every aquaBUBBLER for its entire lifetime; providing total support. That’s why aquaBUBBLER comes with a parts and workmanship guarantee of five years. And when an aquaBUBBLER has fulfilled its life, we take full responsibility for dissembling the unit. The TPA is an affiliated member of the Australian Primary Principals Association, Australian Government Primary Principals Association and the Australian Secondary Principals Association. These organisations provide Tasmanian public school principals with a voice at the national table, with crucial national policy influence and with important links to the International Confederation of Principals. National perspectives, and the capacity to make contributions at that level, are critical to policy development and implementation in our home state, in our schools, and for our students. These connections are important to our capacity to lobby at political levels and contribute significantly to equity, fairness, innovation and contemporary leadership across Australia. As members of the TPA, principals have access to on-line resources and professional learning opportunities provided by these organisations, as well as a sense of connection and interstate collegiality in the challenging and rewarding role of school leadership.